What is a reluctant reader? A reluctant reader is someone who does not express an interest in reading. 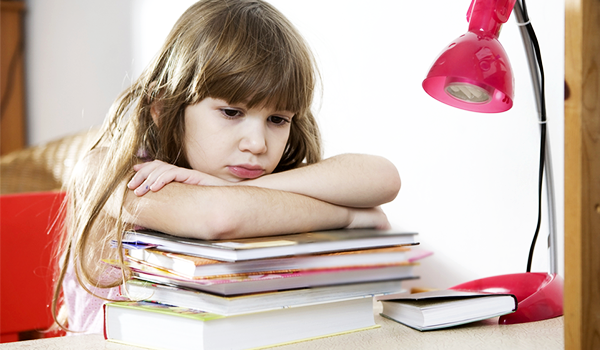 There are many different levels of reluctant readers, from kids who just need an extra push to those who may act out during silent reading or when it's time to read for homework. If your child is misbehaving when it comes to reading, it might be helpful to do a little digging to get to the root of the problem. Don't be afraid to think outside the box or try new things with your child—you might just be the one who helps them get excited about reading! • Talk to the teacher to see if he or she has noticed any problems with your child's reading abilities or can offer tips for you to try at home. • Become a role model reader—when your child sees a person they look up to enjoying reading, they may want to join in on the fun too. • Individualize the reading experience. Every child is different, so make sure you are catering to each child's interests, needs, and levels for learning. • Children need to "see" themselves in the story they are reading. Make sure to find books that your child can directly connect with. At the end of the day, the important thing is that your child is having fun reading and learning because that is how they will continue to grow.